CROP SERVICE CENTER, INC. was established in Holland, Ks. in 1983. We offer custom blending, custom application of fertilizer and chemicals, carry out crop protection products, lime, seed, variable rate application and technology, and soil testing. We are dedicated to helping you achieve profitability while maintaining the integrity of the land by using our knowledgeable agronomists and support staff. Crop Service Center cares about your operations success today and in the future. We are also committed to the future generation’s ability to enjoy the same opportunities. In November of 1982, Dale and Mona Koop and Ag Service of Hillsboro purchased 4.8 acres of ground in Holland, Kansas to establish Crop Service Center, Inc (also known as CSC). They saw a local need for crop input and application services in southern Dickinson County. Dale, Mona, and one other employee offered flotation application and supplied local producers with fertility and crop protection needs. 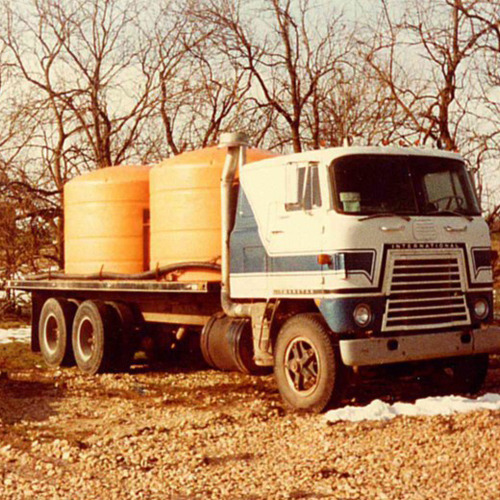 A shop/office building, several small storage tanks, a liquid blender, one liquid terragator, and a single axle nurse truck were the basics for starting the business. Throughout the beginning year’s crop fertility and crop protection needs were promoted to producers in Dickinson County and customized to each grower’s needs. 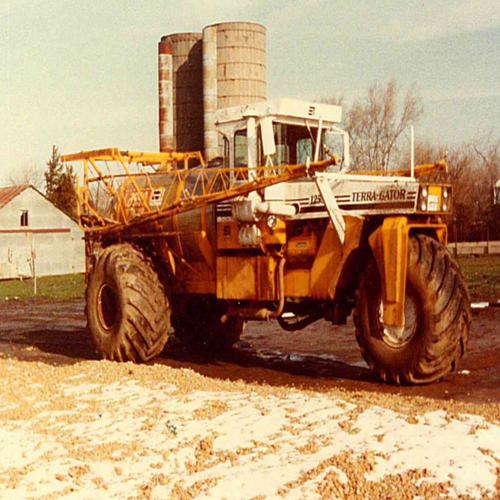 Producers were encouraged to apply their own starter fertilizer by injecting it through their field cultivators and Crop Service supply tanks. 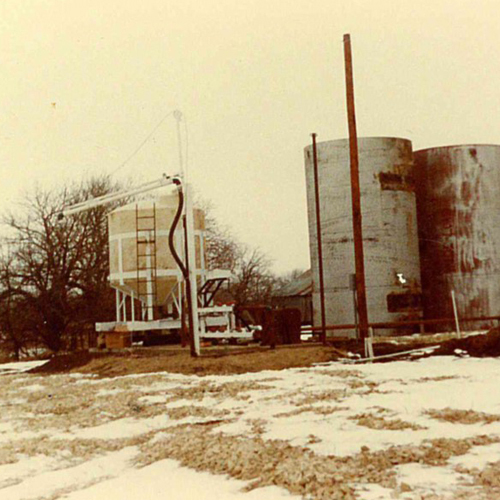 In 1989, CSC expanded by purchasing the fertilizer division of Johnson Elevator in Mentor, KS. They then relocated the plant to its present location on Old Hwy 81 in Assaria, KS. 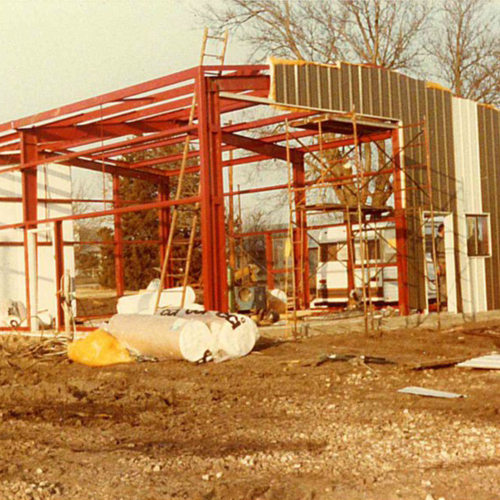 In 1999, CSC expanded their market by purchasing a location in Beverly, Kansas. Currently all three locations provide similar products including fertilizer, crop protection products, liquid & dry lime, gypsoil, and seed. CSC also offers custom application, custom blending, strip till, variable rate application, soil testing, and data collection technology. The business has expanded to over 40 full time employees. Each facility has start to finish services, including agronomists, spray rig operators, nurse truck drivers, and office managers. We are proud to offer and serve all of our local producers. In 2005 CSC noticed a need for additional liquid and dry storage and rail access. Land was purchased east of the Eisenhower Center and Bert & Wetta in Abilene, Kansas. A rail spur was built off of the Burlington Northern Rail yard, which is now a vital aspect in receiving many products. 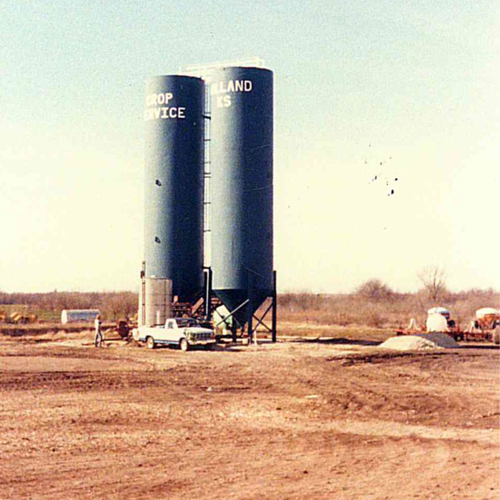 This location also offers a liquid and dry fertilizer storage with blending capabilities. After this addition, Crop Service Center’s combined capacity totals over 25,000 ton of liquid storage and 2,200 ton of dry fertilizer storage. Thank you, our valued customers, for over 30 years of business! Your trust in us has been an integral part of our success and we value each and every one of our customers. As agriculture and crop production improves and changes, our goal is to continue to advise and lead the way with the latest ideas and practices that offers the most economical benefits but is also environmentally friendly!